Fred B. writes: I found an old coin near Martinsburg, W.Va. It is encrusted on both sides. On one side I can make out a man with a ponytail facing right, and written around the edge is Georgivs III.R.. On the other side there is a king’s crown with a harp or a shield under it. There are illegible letters around the edge. 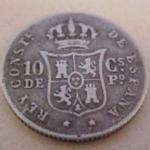 Can you identify this coin, and how can it best be cleaned and restored? You may have a Virginia Halfpenny. These were authorized by England for Virginia in 1773. The obverse shows the head of King George III facing right, the legend GEORGIVS III REX (George III King) is around. The reverse shows a large crown, with 17 and 73 on either side, over a shield with lions, fleur de leis, harp and horses in quadrants. The word, starting on the right side is VIRGI and on the left side is NIA. 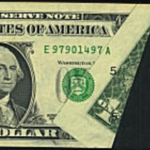 Ciculated examples range in value from approximately $50 – $350. 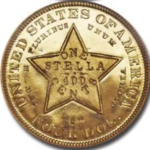 Restoring coins and removing dirt is best left to an expert. 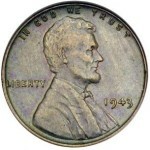 Amateur cleaning substantially reduces the value of a coin. The idea is to remove what is on the surface not the surface itself. 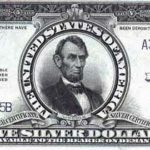 See Coin Grading Services on the CoinSite Links page for professional restoration and authentication services..